Henry Chamberlain, 46, lives in picturesque Wells-next-the-sea and has sailed in the local area since he was young. He has an impressive background working as a Royal Marines Officer, a Director of field security at the World Food Programme and as a Polar Guide for the Scott Polar Research Institute. 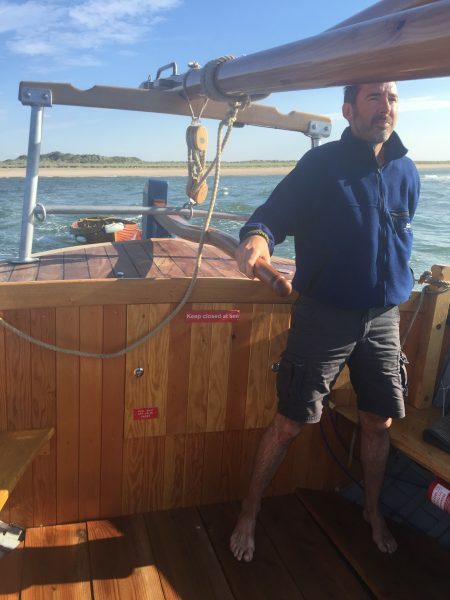 He returned to his roots in North Norfolk five years ago to make his dream of starting the Coastal Exploration Company a reality. The company was born as a result of Henry’s passion for travel and adventure, along with his professional experience in boating. “I realised after 20 years of working in some fascinating parts of the world that North Norfolk is just as special and just as wild. 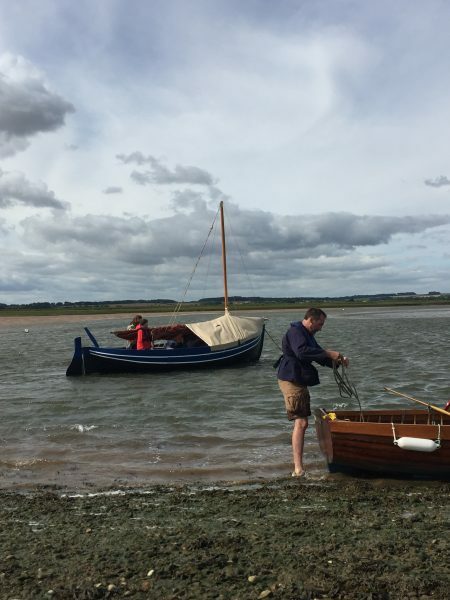 The Coastal Exploration Company offers bespoke sailing trips for those who have a passion for adventure, and a curiosity to experience the beautiful North Norfolk coast by water. “We concentrate on adventure – think Bear Grylls. There is something for everyone; luxury, wildlife or even smuggling packages. Henry tailors each sailing trip to the customer’s needs, down to the finest detail. He collaborates with the customer to create a bespoke itinerary for an unforgettable, once in a lifetime experience. “I engage with each customer, explaining what we offer and explore what they would like to do – it’s a process which results in a unique trip every time. There is plenty to see and do on the trips, whether you want to catch a glimpse of the local wildlife or visit beaches and creeks away from the hustle and bustle. “We can access the bird reserves – so you can see an amazing variety of birds. I try to work very closely with the nature organisations, to preserve and protect what we have. Noa Maxwell, 44, from London, comes to stay in North Norfolk with his family every year. 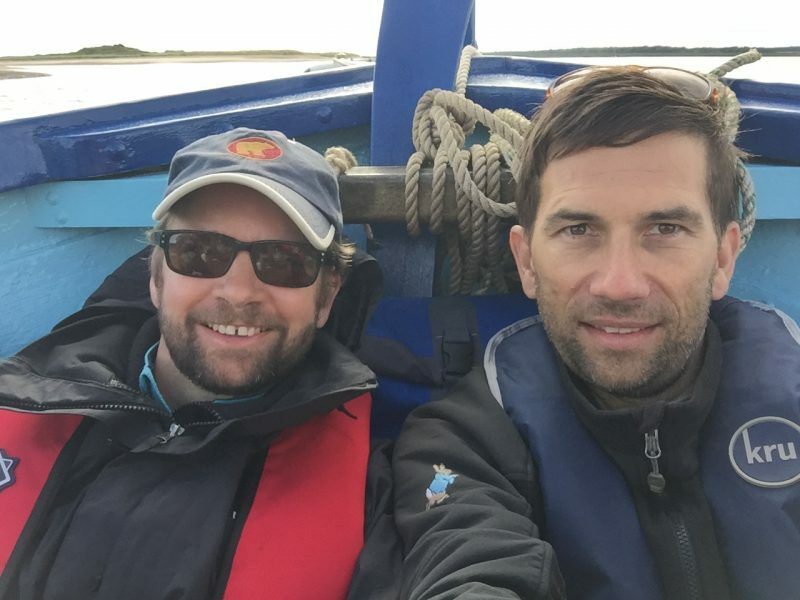 On his most recent visit, he arranged a bespoke sailing trip with the Coastal Exploration Company. “What attracted us to a Coastal Exploration Company sailing trip was the idea of being in a remote place like Scolt Head Island. The kids were also very taken with the idea of spear fishing. “We sailed out from Wells and then came in on the tide to Scolt Head Island. The trip was extremely well planned. There was an itinerary which gave us time to explore on our own and even have a nap in the dunes. “Scolt Head Island is full of bird life, and the sand dunes are well formed. It’s a lovely place to be when the tide is out, and it’s all there to explore. “We tried our best to spear fish with willow canes in the creeks and to catch mackerel. I didn’t catch anything but my son did. We also became obsessed with picking cockles. 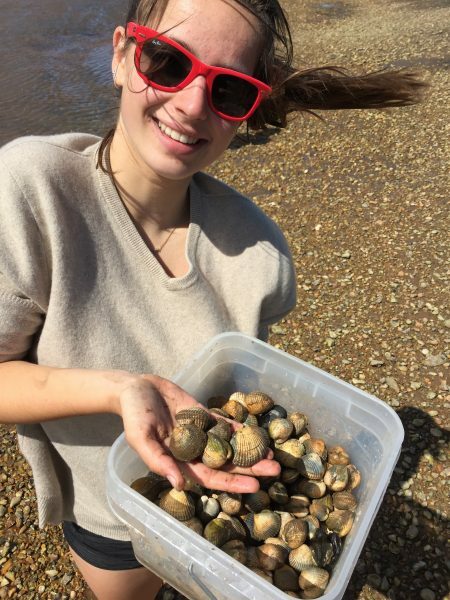 We picked so many that we came home with a large bucket of them and ate spaghetti vongole. We still had mountains left over! Noa was thoroughly impressed with the Coastal Exploration Company and found Henry to be a knowledgeable and trustworthy guide. “Henry factored in tide times, weather and the length of time we wanted to be out. The trip took a day in total; we came in on a tide and left on the next tide. “Henry is the perfect guide. He clearly loves North Norfolk and boats, and that showed in the care he took on our journey. The Coastal Exploration Company offers three types of sailing trips to satisfy your desire for adventure. The trips include; one-day trips, on the tide adventures and bespoke sailing trips. They are suitable for all, from families to couples. The one-day trips typically last between four and 10 hours. These can include a wide range of activities, which can be discussed when booking. 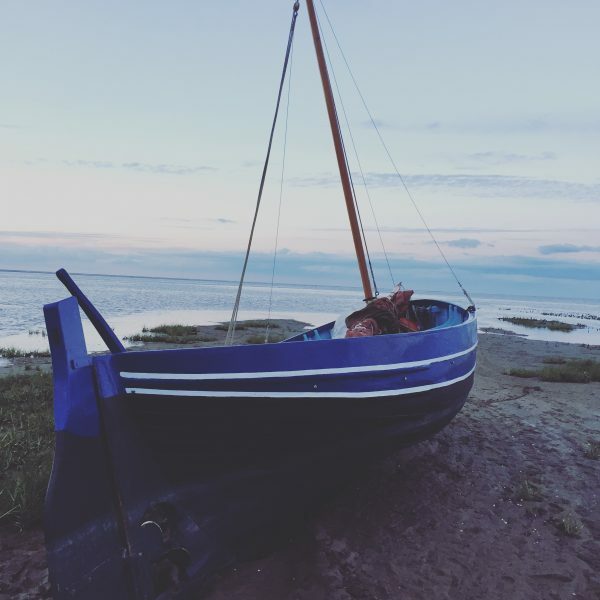 On the tide adventures can involve; traditional sailing, sea and land navigation, survival skills, night navigation, wild swimming and foraging for food. The bespoke trips can be arranged depending on your interests; whether it’s wildlife, adventure, or having a high-quality BBQ prepared on a remote beach after a long, leisurely sail. Sailing trips run from May to October, but there is a possibility to arrange out of season trips on request. Booking in advance is essential, so there is time to discuss the nature of the trip and plan according to weather and tides. As every trip is unique, there isn’t a standard pricing structure. 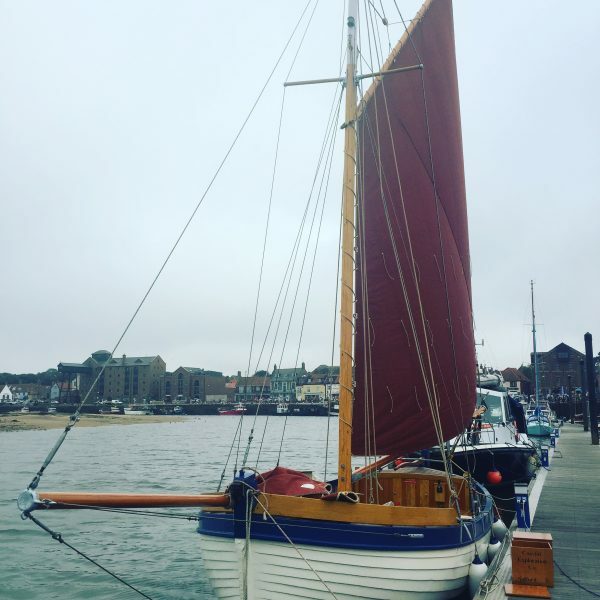 If you’re interested in a North Norfolk sailing trip, email henry@coastalexplorationcompany.co.uk, call 07970 276 397, or find out more on the Coastal Exploration Company website.